OHSAS 18001 is an Occupation Health and Safety Assessment Series certification for health and safety management systems, which enables an organization to control occupational health and safety risks and to improve performance. 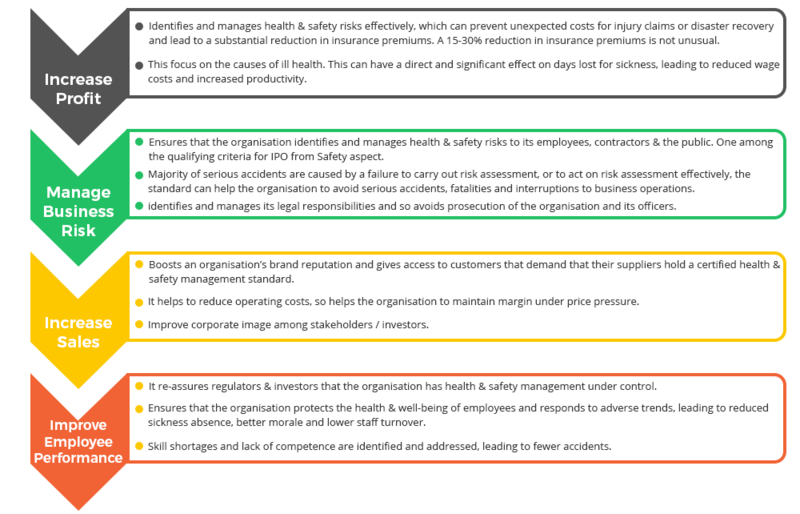 OHSAS uses the prevention concept, i.e. prevention instead of cure. This is integrated in the work protection law, and states the work safety and health protection should be treated in one complete system. OHSAS 18001 was developed by the OHSAS Project Group, an association of 43 organizations from 38 countries including national standards bodies, registrars (certification bodies), OHAS institutes and OHAS leading consultants. How can NIST help to get OHSAS 18001 Certification? A sound, lucid and non-disruptive assessment. NIST enhance your communication on the high value of work safety and employee health as an element of your company. NIST focus on the effectiveness of the system and the practicality to the local environment. 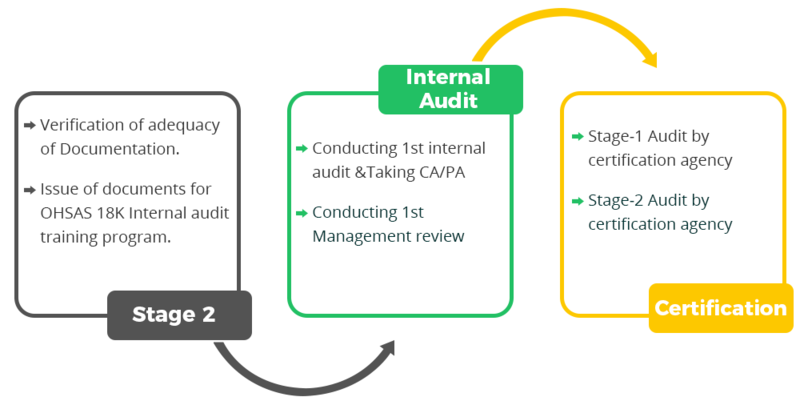 NIST have a qualified and experienced pool of auditors, who can commit into the goals & objectives of our client to yield a desirable result within the timescale. NIST supports end to end handholding from creating necessary documents, formats, SOP in line with OHSAS requirement. NIST believe in partnership model & with good appreciation among prestigious International certifying bodies, in order to make our client life easier.